Annatto seeds impart a yellowish-orange hue and have a sweet, slightly nutty, peppery flavor. 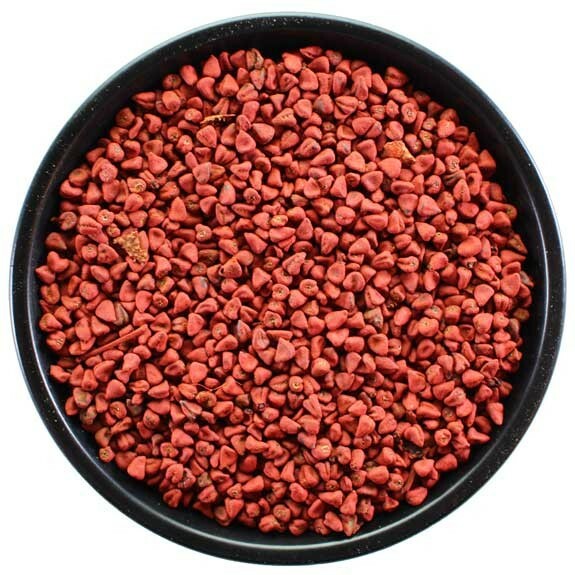 Annatto seeds are also known as achiote, bija, or routou. Primarily used to impart a yellowish-orange color in cheese. Annatto can be used to enhance the color of your beer or mead, they can also be used as a flavor addition for a sweet, slightly nutty, peppery flavor.